Need something to tote your Noble Pet's stuff in? We've got the perfect tote for all pet lovers. 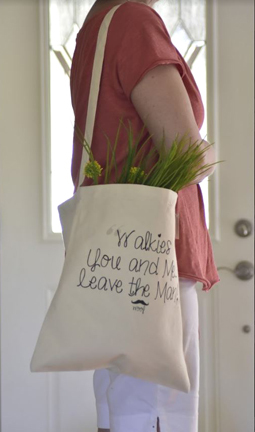 Made of heavy Canvas (14oz) in a natural color, these totes are great for the Farmers Market, taking your pup on a walk or to the Vet or Groomer. Measures approximately 13"W x 15"H with an 18" drop. These bags can be worn over the shoulder or as a cross bag. Can be personalized with your own picture or saying. Note: Pictures must be high resolution.